The waiting game continues for the numerous players who have some $330 million worth of their poker bankroll locked-up on Full Tilt Poker, and while the breaking news in April was that PokerStars was in talks to purchase the beleaguered site and bailout the players, we are now nearly into July with no resolution. But it’s not all doom and gloom, as reports still have PokerStars working on completing a deal that would see them takeover their one-time rival, and from the circumstantial evidence it looks like a deal could be OFFICIALLY announced at any time. One person trumpeting the sale has been Mark “Chinamaniac” Gryglik, who has been updating the poker world on insider information for a few months now, and continues to proclaim that the deal is 99% done, and just the fine print needs to be worked out. After getting berated on 2+2 for a deadline that has come and gone, “Chinamaniac” now posts his updates exclusively on VegasPokerRadio.com, and while he may have been somewhat hyperbolic about the timeframe, my own sources have been feeding me virtually the same information Chinamaniac has been doling out. One of the major sticking points causing the delay seems to revolve around the phantom deposits made via eChecks, where players were technically “rolling”Full Tilt Poker, knowing that these deposits would not be taken from their bank accounts for weeks and giving players a chance to either run-up their deposit or simply put a stop-order on the eCheck. Apparently these deposits have not all been accounted for, and it’s unclear if players with money in their Full Tilt accounts owe money to the site for some of these phantom deposits. Other evidence pointing to an impending deal would be PokerStars hiring staff and sending training team members to Dublin. 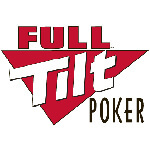 According to a few different sources this is to make sure everything is in place so when a deal is announced Full Tilt Poker will be up-and-running that very minute. The final piece of evidence that hints at an impending announcement would be PocketKings settling with other businesses (affiliates and advertisers) that the company has owed money to for over a year now. The article has since been removed from the website pokerolymp.com, but detailed how several companiesâ€™ owed money by PocketKings had been contacted seeking a resolution to the debts. So, even my skepticism (which runs extremely deep) is starting to become more optimistic that a deal could very well be announced in the near future. But as always let me state that all of this information is gossip, rumor, and speculation, with no official statements, or verified details having come to light as of yet.